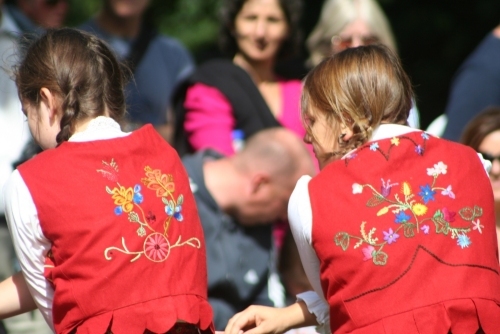 Two dancers from our group wearing costumes from Lovic. 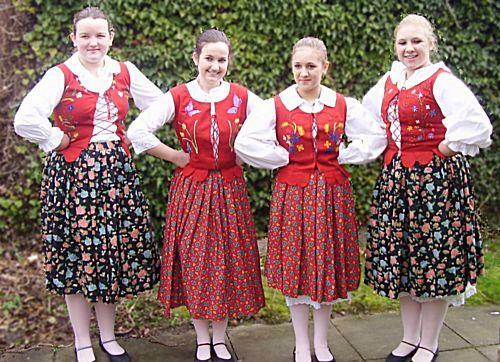 These colourful outfits were purchased from a Polish dance group that disbanded. The blouse and shirt are both embroidered; the woman's skirt and apron is made of wool and is extremely heavy. Her boots are soft, calf leather with hook fastenings. 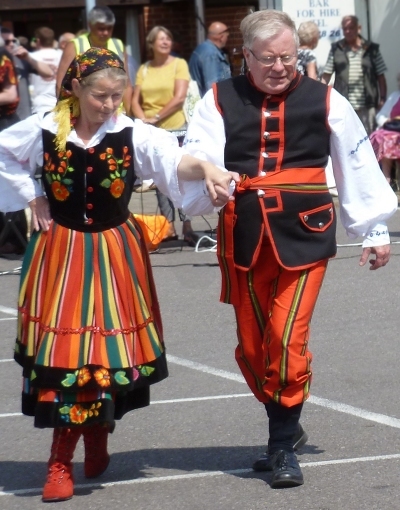 We borrowed Polish costumes from the Society for International Folk Dancing (SIFD) for displays in 2010 and 2011. The felt waistcoats are embroidered with a variety of plants, flowers, birds etc. This costume was made for one of the girls in the class by her (Polish) grandmother.